Yes, Our Tampa Real Estate Services are **FREE to Buyers! We all know that if something sounds too good to be true, you should think twice about it. However, at Michael Valdes & Associates, when it comes to Tampa real estate buyers, our services are provided to you, with no commissions and a small transaction fee* collected only when you close! There are no nuisance fees, and no gimmicks! Q. How is it possible that you can offer such a free real estate service to buyers? A. It's simple. The seller pays our commission, not you. Q. What if I'm buying a Tampa preconstruction or new builder home, is your service still free? A. Yes. The builder pays our commission, not you. Q. Does this mean you're acting as a 'Buyer's Agent'? A. Yes. A Buyer's Agent is a real estate professional who represents the buyer in a real estate transaction. The Buyer's Agent as well as the seller's agent are each paid a commission by the seller. The amount of the commission is a pre-determined percentage of the selling price. Q. Will I be limited in the types of services I can get from you? Q. 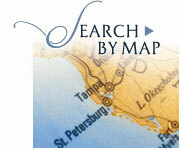 Is this service available for buyers of any type of Tampa real estate? A. Yes! Whether you're a first-time home buyer, or looking to buy a second home, vacation home, retirement home, relocations or land, our commision-based services are free to buyers. Q. What if I wish to purchase Tampa Bay area commercial property, condos, investment real estate or foreclosures — is your service free for those types of real estate purchases? A. Yes. You don't pay any buyer's commission out of your own pocket for virtually any kind of real estate purchase. Not sure if the property you're interested in qualifies? Please ask us. Q. Is there a limit to the number of times I can use Michael Valdes & Associates for these free* home buying services? A. No, not at all. Feel free to use us for any and all of your Tampa real estate purchases as often as needed. We can also extend this free service to your family, friends and neighbors, too, who are looking to buy real estate. Q. Won't sellers "jack up" the home selling price so they can afford to pay the commission to Michael Valdes & Associates? A. Negotiating the purchase price of real estate property is part of the expertise and service that we provide you, so you can make an informed decision. We conduct market analyses of what other homes and property have sold for in the neighborhood, to ensure that you don't overpay for your Tampa home. So if the seller is, indeed, trying to recoup commission fees through a higher selling price, we'll help negotiate the price down to a more reasonable level. Q. Why do I even need you to help me purchase real estate in the Tampa Bay area? A. Because the price you'll pay will most likely be the same, with or without using a Realtor®. Buying real estate will be one of the largest purchases and financial investments you'll ever make in your lifetime, so it's important that you have the right resources working on your behalf. The seller will most likely have a real estate agent working for them, which could put you at a disadvantage at the negotiating table if you don't have a Buyer's Agent. So why not take advantage of a Keller Williams real estate professional as your advocate throughout the home search and buying process, including setting up mortgage financing and managing the closing, to ensure that (a) you obtain the home you want and (b) that the transaction goes smoothly, all at no charge to you? Q. What should I do if I want to take advantage of your free* service? A. Just call us toll-free at (800) 975-7205 or contact us to discuss your real estate requirements. The phone call and discussion are free, too! * A one-time $295 per-transaction fee is added to the overall closing costs only when the transaction actually goes through. This all-inclusive flat fee covers our administrative costs for per-transaction compliance with state and local agencies, insurance and other administrative charges. When you think about it, this low one-time transaction fee reflects a huge savings vs. paying out thousands in buyer's commission fees out of your own pocket! 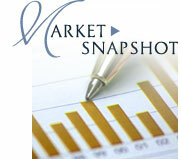 ** We provide FREE service to buyers as explained above for properties priced over $75,000. For any homes priced below $75,000, our services are still available provided that the total commission received from the closing meets our minimum criteria of $2,250 (3% of $75,000). In such cases, the buyer will agree to fund the remainder of the minimum required commission (obtained by subtracting the Seller's commission from $2,250) to Michael Valdes & Associates at the time of closing. The commission agreement will be written as the addendum to the purchase contract. The buyer will be given full opportunity to review and approve the actual amount of the commission prior to the execution of the contract.